Team Gumtoo loves books, especially books for children and young adults. And it is no secret that we love stickers too 😊. Imagine our joy, when we got a fantastic opportunity to combine both our loves! This happy chance came our way through the talented sister-duo of Naomi Vowels and Frances Atkins of Red Shoe Stories. Read the details in our interview with Naomi. 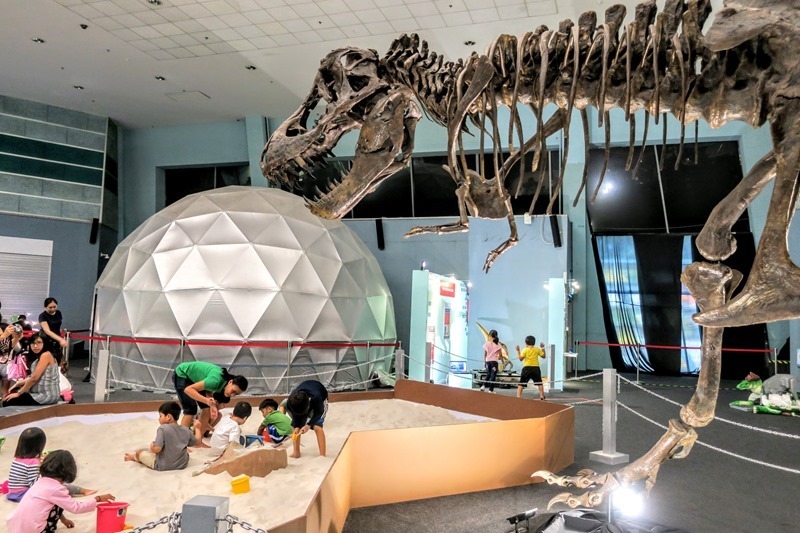 Opened on 10 December 1977 by Dr Toh Chin Chye, Science Centre has emerged out as one of the best holiday destinations for children and students. The iconic IMAX theatre of Science Centre brings a new scope of learning Science and technology through documentaries and films that provide an captivating experience for all. You can relax on the bean bags laid out inside the theatre and enjoy an informative documentary. It also has a KidsStop for kids aged 18 months to 8 year which offers activities and programmers to nourish parent-child bonding. With hundreds of activities that Science Centre has to offer, it can attract any child for indulging with its and exhibitions. It’s been around four decades since this place has been a platform of learning and innovation. As compared to institutions which provide theoretical knowledge of science, science centre helps students to embrace this knowledge in a more fun way, buy giving an environment where students can engage in various activities and exhibitions. Science centre sets up the exhibition in a way that it can explain the basic principles of science and technology to the kids by relating it to everyday life so that the children can grasp it faster and also remember the concepts. While preparing these exhibitions, Science Centre keeps in mind to design them according the school syllabus, so that students can practically implement their knowledge which they gain from reading their textbooks and by listening to their mentors. This year science centre held another blockbuster exhibition from 20th May till 27th August 2017. 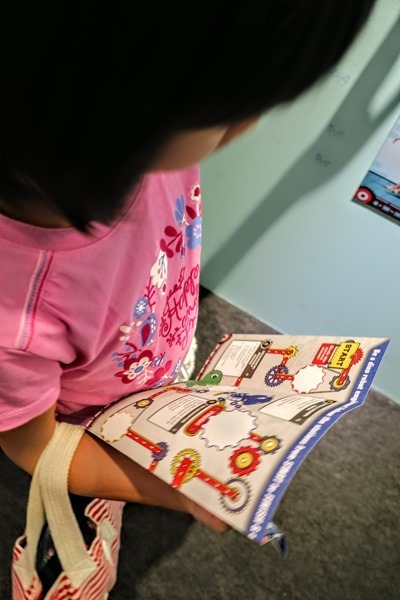 This was an exceptional travelling exhibition designed directly from Japan for kids. There was a lot to dig into and learn. It gave kids an experience of building a dinosaur robot and helped them learn the essentials of mechanics, automation, assembly and design in an interesting style. The exhibition begun with an introduction on what are dinosaurs, by describing about various traits of dinosaur, their characteristics and features. There were fossils for kids to look at and understand the appearance of the dinosaurs. To start with the kids were given pamphlet which had answers to various questions, the kids had to scratch those pamphlets to search the correct answer at every station and collect stamps. Once they were finished with collecting all the stamps, they could win back a little gift in exchange of the stamps. These gifts included customized stickers which were printed by Gumtoo. Seeing a T-Rex dinosaur coming to life using a unique scope in the data and design room. Students learnt assembling by adding skin and muscle to the dinosaur’s skeletons in the body assembly room. There were also blocks for little ones to build their own colorful dino robots. A Mechanical assembly room was designed for kids so that they can experience animatronics building process with the dinosaur’s skeleton. There was also a control room with special sensors, which helped kids to move the dinosaurs and make noise in the way they wished to. Which looked quite real and was very amusing for the kids. The whole event was a big success, which came as a surprise for kids and a bonus for the parents as their kids learnt a lot while having fun! Children who were able to complete all the tasks were given a reward by the science centre. They chose a very interesting gift to give away as rewards to the children. They opted for wonderful customized dinosaur stickers! And these amazing stickers were printed by us, which were just loved by the kids. It was a beautiful kiss cut sticker sheet with multiple stickers on it, which looked really cool and were easy to use. Science centre used stickers in a really interesting manner to engage kids. If you are also looking for some super cool economic giveaways for kids, you can surely consider custom sticker printing done Gumtoo Stickers. These stickers can be a perfect gift if you are organizing an event for kids in a museum or in a school. These can also be used for promoting your brand or organization. Do contact us for custom sticker printing in Singapore! Stickers are one of the easiest yet creative decoration someone can have on their stuff. A step further, with their subtle design and intelligently crafted punchline can drive you into the world of fun and laughter. The most common areas to use the imaginative and hilarious ideas are car bumpers, bike bodies, the toilet seat, wine bottles and much more. The most exciting part is that sticker fun never gates boring as they can be changed as per convenience and budget is not a matter of great concern here. The Frozen inspired loo stickers inspires to let it go!!! 4. The Truth! sometimes force can do wonders. Use the Force and relieve yourself. 5. Indeed, it is a CRAP!!! 8. The refrigerator had a full treat tonight, It shows!!! 13. This is serious... Damn Serious!!! 15. This Hamster just got CHARZZZZZZED!!! 17. A shower Sticker… So Cute!!! 20. Oops !!! we have just come to the end.